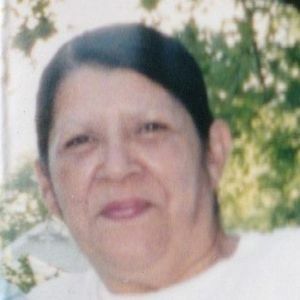 Gauna, Maria Trinida, known as "Trink", 68, of Ford Heights, passed away in on June 6, 2018. She is survived by her loving family: Sons: Alfredo Armando (Robin) Gauna, Duane Griffin (Irish) Gauna; Grandchildren: Shanelle Gauna, Katherine and Kapira Gauna, Alfredo Gauna, Duane Clark, Keenan Gauna, Kaylee Marie Gauna, Duane Irish Gauna, and Irish Anna Gauna. Sister of the late Maria, San Juanita Gauna, the late Maria "Molly" DeJesus Wallace, the late Maria "Nina" (John) Johnson, Maria M. (Walter) Noble, the late Rodrigo Gauna and her beloved brother, Juan Gauna. Aunt of several nieces and nephews. Daughter of the late Blas and late Maria Gauna. Maria worked over 20 years at Bria Health Services, formerly Woodside Extended Care in Chicago Heights. Visitation will be held on Sat., June 16, from 1:00 p.m. until the time of Funeral Services at 3:00 p.m. at Kurtz Memorial Chapel, 65 Old Frankfort Way, Frankfort, IL. Inurnment at Calvary Cemetery in Steger on Tues., June 19th at 10:00 a.m. the cemetery is located just east of Western Ave., on Steger Rd. To sign guestbook visit heartlandmemorial.com. Arrangements entrusted to Heartland Memorial Center, 708-444-2266.